MainAll NewsRadioWhat exactly is the status quo? What exactly is the status quo? Does sovereignty apply to the Temple Mount? Status Quo is the catch-all term on the lips of everyone discussing or even just mentioning the current volatile situation in Israel since the magnetometers were first installed at the Arab entrances to the Temple Mount and subsequently dismantled again with "our tail between our legs". In other words capitulation to the Arabs. 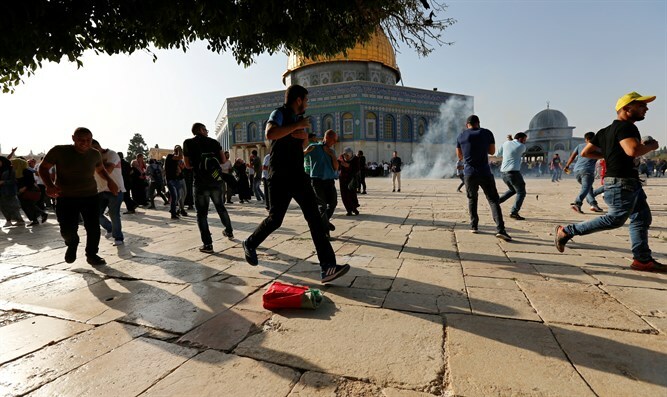 There are very few people who have a clear or even a foggy idea of the origin, development and practical application of the term Status Quo in the context of the situation concerning the Temple Mount. One hears many and varied interpretations. Walter also belonged to those who were not clear. This program is unique in that it exceptionally claims to educate as he was after hearing real experts and learning the facts, that he want to share with you today. And: Walter discusses the wider implications of the Temple Mount affair and the Palestinian Arab attitude. Also: Who really is the US Secretary of State Rex Tillerson? Is he the tail wagging the dog where US policy towards Israel is concerned? Is the two-state solution still relevant? Plus: Is Prime Minister Netanyahu still the right person to hold this position, or has he outlived it after having given all he can? Hear: All about the farce of the Azariya trial - and much more. Many: Questions that require urgent answers. If you think you have one or all of them, write to: walter.israelnationalradio@gmail.com.